If this deal goes forward, America relinquishes her crown as the leader of the free world. Clear talk of the threat facing America and the world. 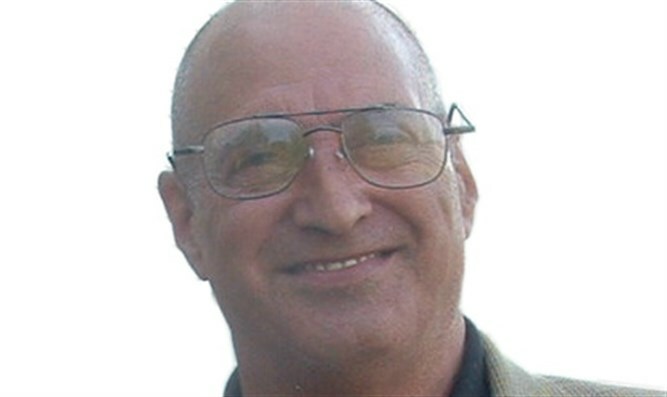 Stanley Zir is founder of Never Again is Now and Victorious America.com, "dedicated to the completion of America's destiny... in fulfilling Liberty's mandate: 'Our Eternal War on Tyranny'." He can be found at scarpthedeal.com. The United states of America was born out of a resolve to protect the freedoms of the individual from the tyranny of the state. Its Constitution was written to safeguard those freedoms at all costs - ad infinitum. America’s Founding Fathers were excellent physicians who could fully detect the disease of tyranny in all its forms. They left the American people the Constitution as a preventive vaccine to eliminate this cancer. Therefore, upholding the Constitution and its firm stance against tyranny or any government or enterprise, foreign or domestic that seeks to destroy the United States, its values, democracy, or “western ways” is a non-debatable issue. There are no parties here, no sides, and no disparities to discuss.If you are an American, as I am, the Constitution is the law of your land and it is the premier reference guide that protects Americans from those who seek to tamper with our freedoms. Either we stand with the Constitution’s sacred covenant of freedom, the basis upon which this republic rests, or our very foundation faces collapse. Stopping the Iranian Nuclear Threat and removing the ultimate mass destructive weapon known to man from getting into the hands of a heinous, tyrannical nation, that openly threatens to destroy America, is then neither a Democratic nor a Republican issue; rather it’s a Constitutional mandate. Our government must rule and abide by our Constitution whose stance against tyranny is its rule law. Congress must commit to stopping President Obama, who is acting as if he is Iran’s nuclear terrorist-enabling acolyte. Let’s face it; the Republican debate was a side- show extravaganza. A lot of entertainment was provided with a juggling of theories and elixirs for the most common social and economic ailments. The one obvious omittance was a serious discussion about Iranian’s nuclear threat. Not one candidate made stopping President Obama’s veto a top priority. With less that 20 days left to defeat Obama’s veto, it is obvious these candidates have already abandoned their pledge (if elected) to uphold the Constitution’s stance against tyranny. Instead they are treading lightly in shark-infested waters while Obama is waving the white flag of surrender to Iran. Even though the election is still 15 months away, at which point the Iranian deal and its veto will be a moot point, these candidates are not displaying the sense of urgency necessary. No one is breaking from the pack as the conscientious leader and saying, “Let’s put our collective heads together and get this business done first for the good of the country and the world.” The first candidate to do that has my vote. Congress wants to put out campfires as the whole forest is burning down around us. The Republican Party has never made stopping Iran their top priority, before or after the deal was made. Overriding President Obama’s veto might be their last chance to save our country. What will our future be if Iran gets access to the bomb a year before the elections in 2016? The business of America is to establish, support, and defend the contents of its Constitution, at all costs. Obama’s deal with Iran is in direct conflict with our Constitution in that we are not only negotiating with a tyranny that consistently promotes its hatred of our freedoms, but we are aiding and abetting that tyranny in its quest to obtain a nuclear bomb. If this deal goes forward, America relinquishes her crown as the leader of the free world. Can she ever be trusted again to keep the flame of liberty lit from those who are bent on extinguishing it? Mr. Trump, if we have to wait 15 months to put your plan in action, how do you propose to make America great again if you don’t lead the charge to stop Obama’s veto? For a dozen years, I have been writing the same screed over and over. “It’s Iran, you blind imbeciles!” It’s not Obamacare! It’s not Isis! It’s not the Muslim Brotherhood,Russia, or China! It’s not the ceiling debt or Hillary. Even the illegal immigration issue must take a back seat to the Iranian threat. There will be time later to build Trump’s wall and seal the border, but if we don’t eliminate Iran’s ability to obtain nuclear weapons, we won’t have to worry about a wall, or immigrants, or anchor babies. The politicians are being diverted while Iran’s end game is to run out the clock. Congress wants to put out campfires as the whole forest is burning down around us. President Obama confirmed Iran is, at most, six months away from enriching enough nuclear fuel for an atomic bomb and that walking away from the deal would render any sanctions useless. Overlooked is the fact that there is no repeal process unlike Obamacare, once Iran holds nuclear weapons. Meanwhile Russia and China will have sufficiently armed Iran to protect their own oil interests and the European Union will have secured lucrative financial deals with Iranto guard its vital interests. Overriding Obama’s veto, however, is only half the story. Without coupling the veto with the destruction of Iran's nuclear capabilities, it is only a piece of paper. Additionally crippling sanctions at that point would be useless. What other assurance is there that the world is not threatened by an indiscriminate nuclear attack? If Iran crosses the nuclear threshold there will be no safe haven left in the free world. We will find ourselves at the mercy of Iranian madmen armed with nuclear devices. For the sake of our Union, all Republican Party candidates must temporarily put their differences aside and unite to stop Obama's veto, then call for the destruction of Iran’s nuclear capacity. The successful candidate for the next position of Commander and Chief must be able to awaken the American people to the fact that the greatest threat to our nation, our economy and the future of the world is the Iranian Nuclear terrorist threat. Stopping Obama’s veto now must be their top priority.